Pulsera ancla. 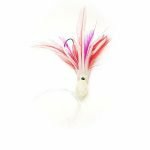 Pulsera de pesca Kurrican. Pesca a la moda. 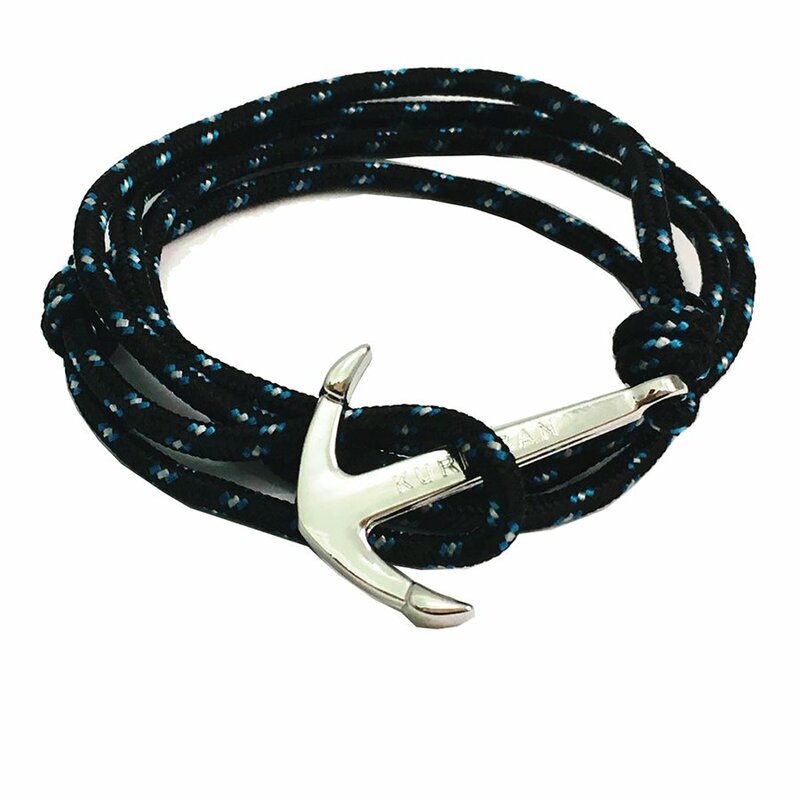 Fishing apparel – pulsera Kurricán. 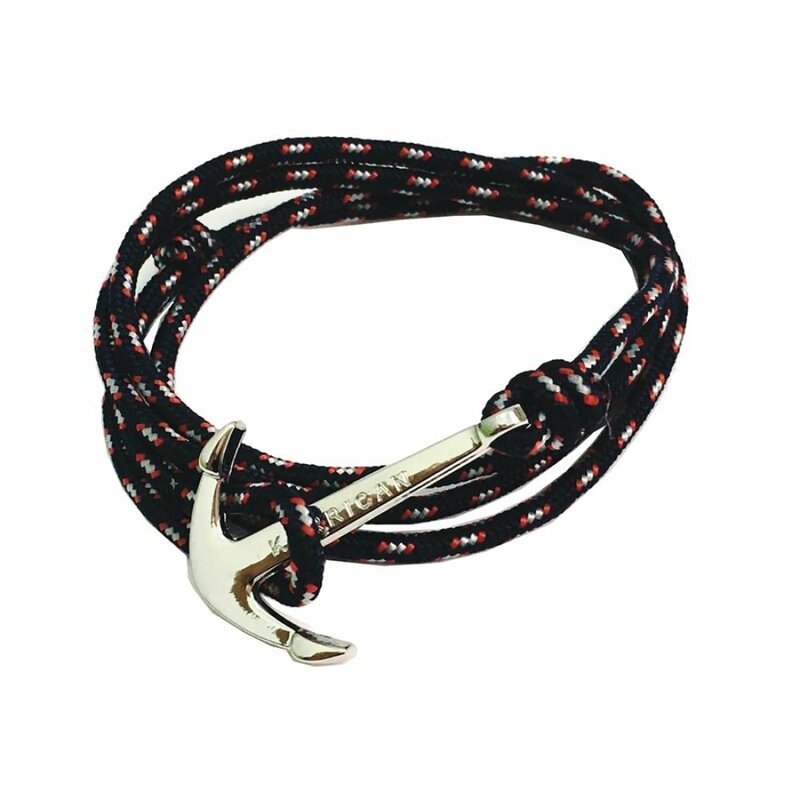 Elegante y vistosa pulsera ancla de pesca Kurricán. Luce la pesca en tu día a día, y disfruta vistiendo un precioso complemento que hará sentirte pescador en cada momento. El detalle del ancla ha sido para los marineros y pescadores el conseguir al fin atracar y arrivar a tierra, por lo que es símbolo de seguridad y fortuna por haber llegado sanos y salvos. Es el complemento ideal tanto para él como para ella. Más aún si quieres hacer partícipe a tu pareja de tu afición favorita. Esta exclusiva pulsera Kurricán se presenta en cinco bonitos colores de cordaje naútico. Ideal para combinar siempre. 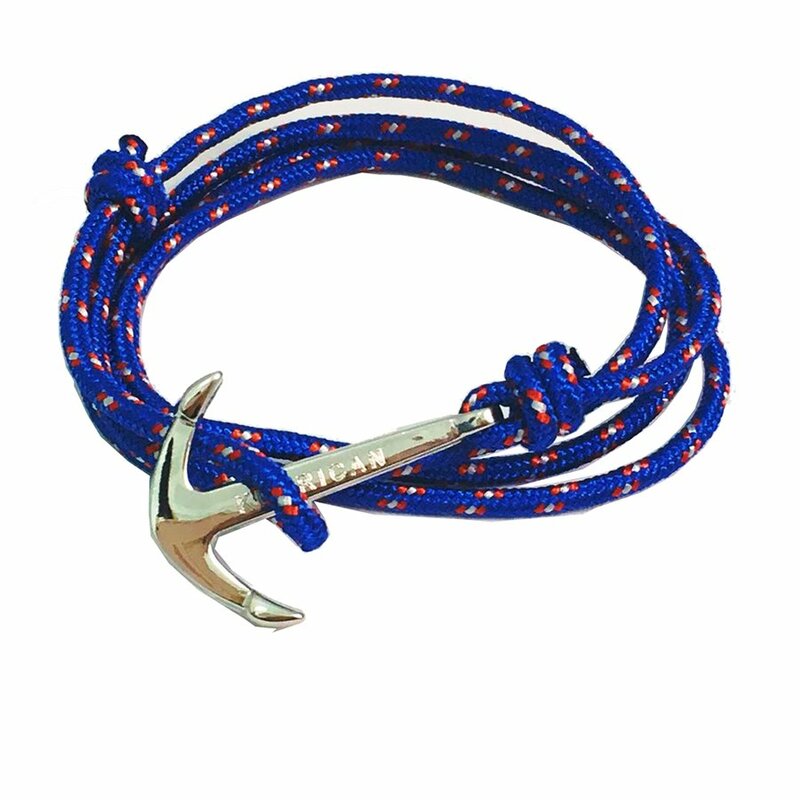 Elegant and colorful fishing bracelet Kurricán. 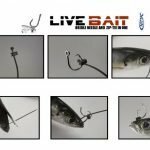 Show fishing in your day a day, and enjoy wearing a lovely fishing apparel that make you feel angler every moment of the day. The detail of an anchor has been for sailors and fishermen symbol of arrival in port, so it is a symbol of security and fortune for being healthy and sound at home. 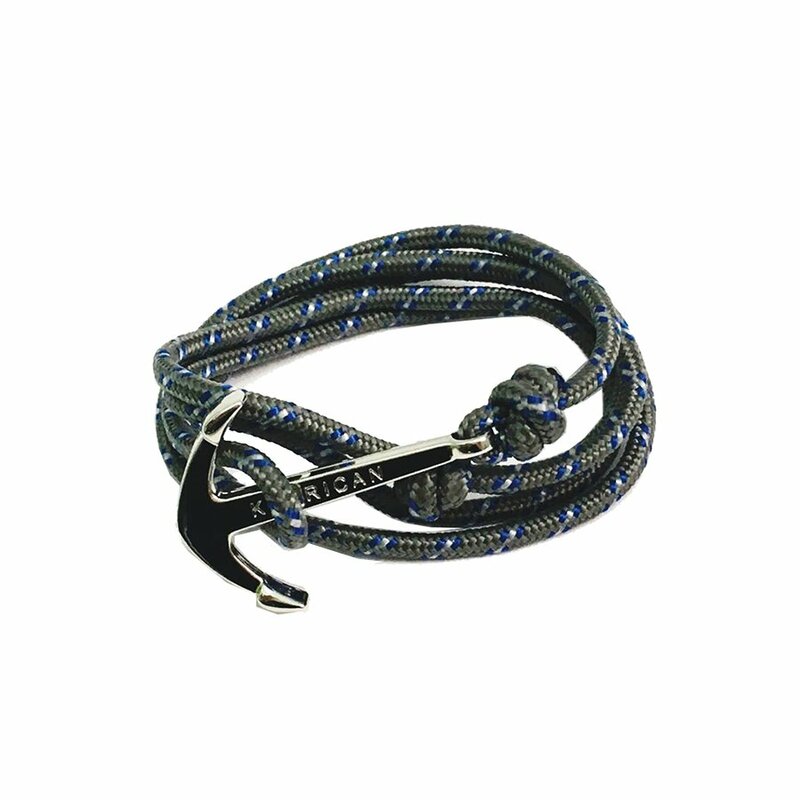 Also, the firmness with which the fixed anchor the boat at sea suggests the symbolism of firmness and welfare for those who carry this precious detail as our original bracelet Kurrican. It is also ideal for both him and her, if you want to involve your partner in your favorite hobby. The anchor represents for the fisherman hoping to return home safely and trust in the sea, this symbolism is transferred to the bond that unites us to those we love, which holds us to those people we appreciate and makes us feel good and safe, making our union stronger and more durable. 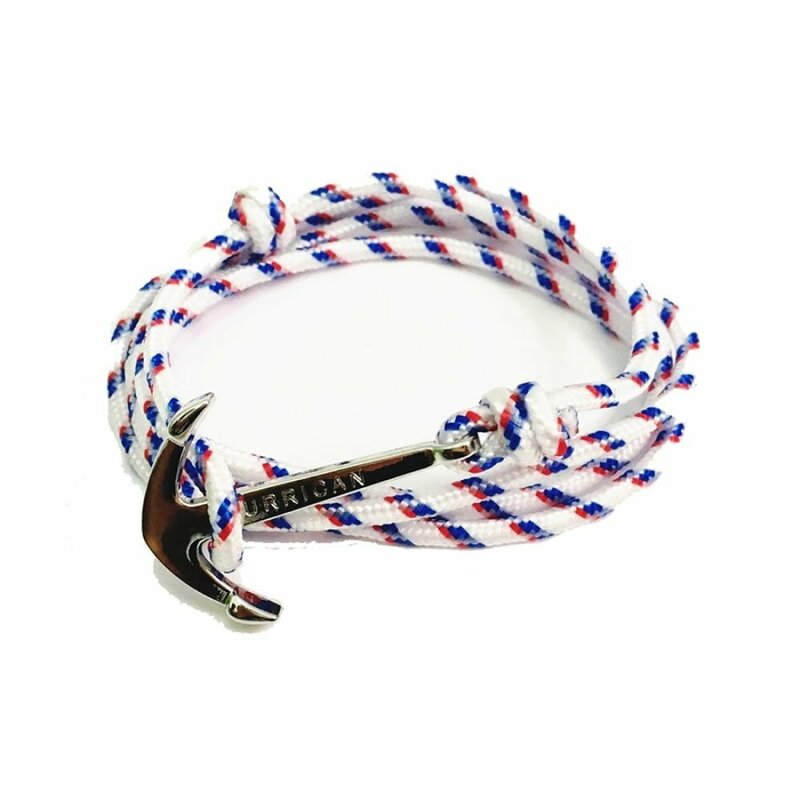 This unique bracelet Kurricán comes in five beautiful colors of nautical rope. Ideal for all coombinar. Always dress it.